You can't listen to your music on your concert DVDs everywhere cause you need a DVD Player to play the DVD discs. However, if you extract the audio from the DVDs, then you can listen to the music on your mobile phones other devices. When ripping DVD to audio, FLAC is the best choice. Ripping DVD to FLAC makes you preserve lossless compressed audio, which means audio is compressed without data loss but file size can be reduced to 50–60% of its original size. 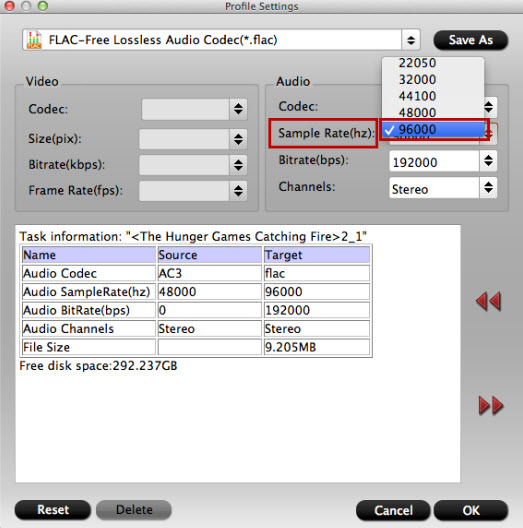 Thus, FLAC is supported by many hardware devices like WD TV, Samsung Galaxy phones and tabs, etc. So extracting FLAC from DVD enables you enjoy the sound on your way with your Galaxy Note 7, Galaxy S7, etc. Now, this article is showing you the way to rip DVD to FLAC on Mac macOS Sierra/El Capitan and on Windows 10. To draw FLAC from DVD, you need professional DVD ripping tool cause normal commercial DVD discs have copy protection. DVD Ripper can bypass the encryption and extract FLAC and other format audio from DVD-A and DVD video discs. Pavtube ByteCopy can rip DVD to FLAC format on Windows 10/81/8. In addition to convert DVD to FLAC, the Windows 10 DVD to FLAC Converter can work an DVD audio converter, DVD video to audio converter and DVD ripper. It can rip DVDs to audio formats including MP3, WMA, WAV, AAC, FLAC, OGG, APE, ALAC and convert DVD to various video format including lossless MKV, multi-track MP4/MOV and M3U8, H.265, WMV, FLV, 3GP, etc. The DVD to FLAC ripper can add and adjust audio effects (fade-in, fade-out, volume normalize, bandpass, chorus, flanger, echo, speed, edit generic, artist, album and file name before conversion and trim, split, clip audio. If you are using a Mac, the equivalent Mac DVD to FLAC Converter is Pavtube ByteCopy for Mac. This DVD to FLAC Converter for Mac is fully compatible with Mac OS X 10.4(Tiger), 10.5(Leopard), 10.6(Snow Leopard), 10.7(OS X Lion), 10.8(OS X Mountain Lion), 10.9(OS X Mavericks), 10.10 Yosemite, 10.11 El Capitan, macOS 10.12 Sierra, macOS High Sierra. Step 2: Insert your DVD to DVD Drive and launch DVD to FLAC converter on your computer. 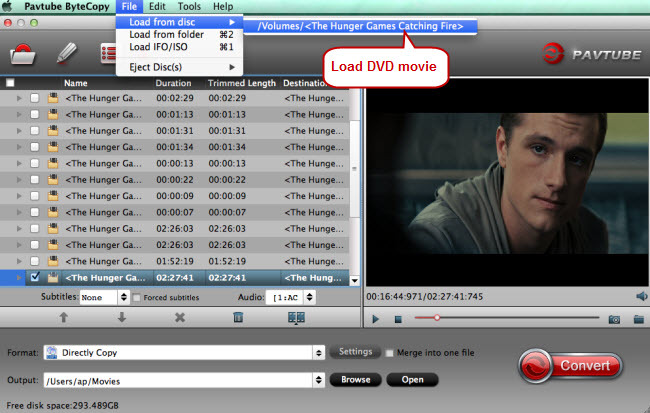 Click "File" to add DVD video/audio to the software. 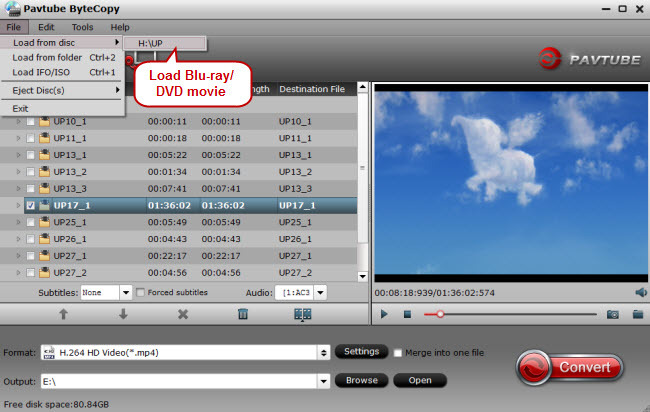 This software supports batch converison so you can add multiple DVD-A and DVD video discs. Step 5: Click the red button on bottom-right corner to realize conversion from high fidelity pure audio DVD to lossless FLAC on Windows 10/macOS High Sierra/macOS Sierra/El Capitan. After completing conversion from high fidelity pure audio DVD to lossless FLAC, you can experience the converted pure audio on your Sonos or Ponoplayer with Hi-res audio quality. Or you can transfer the DVD audio to Galaxy Note 7 to enjoy on the road. 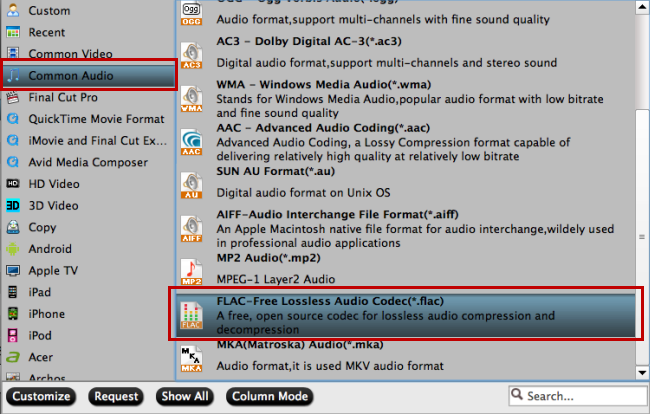 If you don't need FLAC lossless audio, you can extract MP3 from DVD on your Windows and Mac without needing professional DVD to FLAC converter. On Mac, iTunes can rip CD to MP3, AAC, AIFF, Apple Lossless, WAV while Windows Media Player includes the ability to copy, rip DVD to WMA, MP3, WAV. So, Windows Media Player can be your free DVD Ripper for Windows 10 to help you rip DVD to WMA, MP3, WAV in Windows 10.